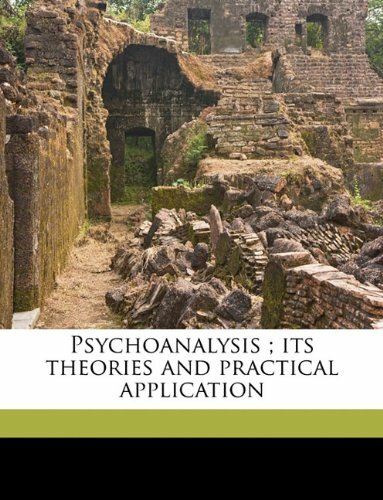 The main object of this book is to present the practical application of Freud's theories in one volume, hoping thereby not only to remove many false conceptions entertained concerning psychoanalysis, but to stimulate further interest in Freud's original works. Freud was a towering literary figure, a communicator who raised the consciousness of the civilized world in psychological matters. Now it is up to others to make something substantial out of the opportunity thus afforded by his pioneering zeal. While tracing back the abnormal to the normal state, professor Freud found how faint the line of demarcation was between the normal and neurotic person, and that the psychopathologic mechanisms could be demonstrated in normal persons also. This is a delightful little book that succinctly explains and describes the origins and development of psychoanalysis. The book is designed for the novice with an interest in learning some basic on the ideas and thoughts of Sigmund Freud.